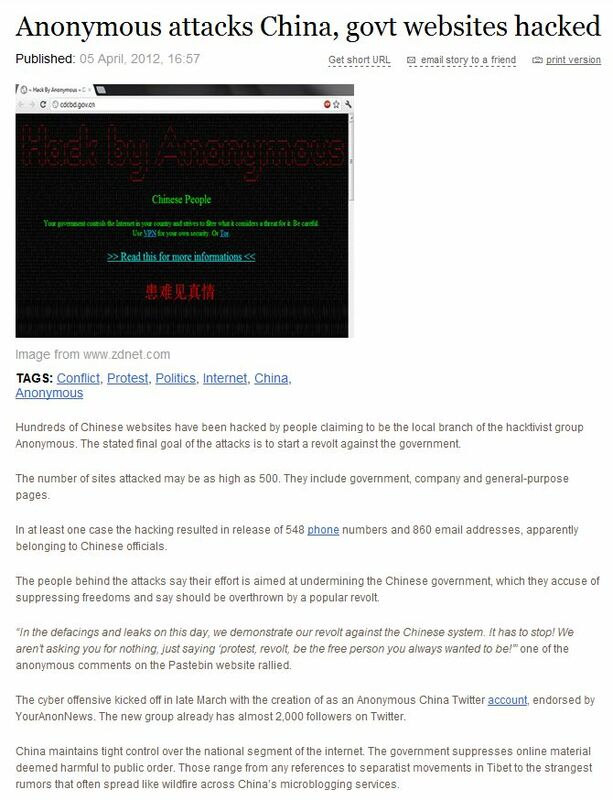 The Hacker collective Anonymous struck at two key important sites within the span of two days, their first target were nearly 500 websites belonging to the Chinese government. 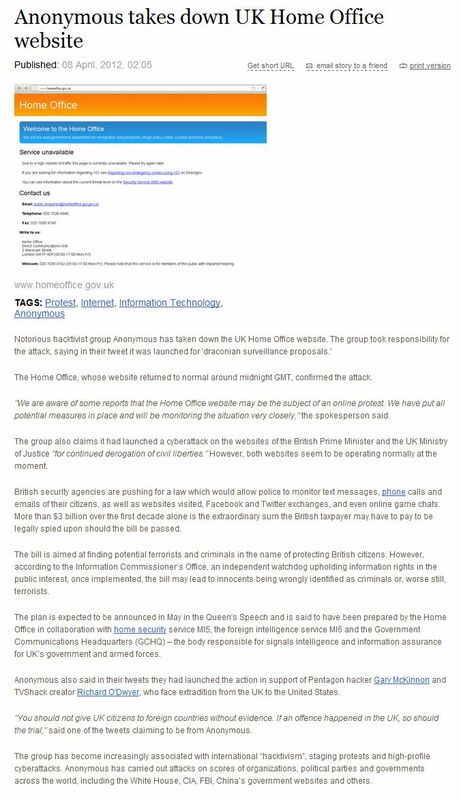 on the 7th of April, they targeted the site of the British Home office. A serious analysis has to be drawn of the Anonymous attacks in the last 14 months which are increasingly focused on a range of global targets mainly focusing on state apparatus. This entry was posted in Analysis, Cyberpolitics, Future Conflict, Geo Politics and tagged Anonymous, cyber attacks, Cyber politics, internet, research, technology.